Pattaya may be best known for its status as a 24-hour party city, but it’s also home to bountiful nature, cultural sites and some lesser-known paradise islands. We take a look at how perhaps after some partying, LGBT+ travellers can avoid the madding crowds and discover the magic the rest of Pattaya has to offer. Just 30km outside Pattaya lies a nature reserve, in the vicinity of Khao Mai Keaw that’s been opened up to avid hikers. There are several trails available meaning the jungle is your oyster! Those with experience can go it alone and opt for more challenging routes, with a mix of terrain, from sand to high rocks to foliage, culminating with stunning views over the surrounding countryside. Alternatively, you can make use of a local guide or join a group. 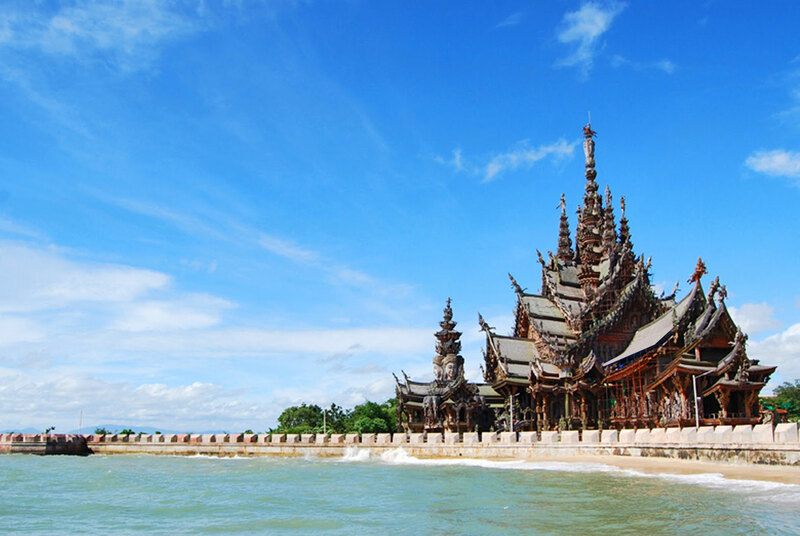 This sprawling wooden structure is less than 40 years old yet is filled to the brim with symbols of spirituality and culture from across Asia. The intricate wood carvings on the complex’s many buildings reflect Thai Ayutthayan architecture, which dates back to the 14th century. Inside, you’ll find artworks based on elements of Hinduism and Buddhism, spanning India, China, Cambodia and Thailand. Scheduled boat trips will take you out to the most touristed spots for daytrips, but if you prefer to explore somewhere more unique, opt for a private speedboat charter. This will enable you to visit some of Pattaya’s more unknown and uninhabited islands. For example, Bamboo Island (Koh Phai) – 23km from Bali Hai pier – has a glorious, unspoilt beach with Pattaya’s best coral reefs, making it the insider’s choice for snorkelling or SCUBA diving. 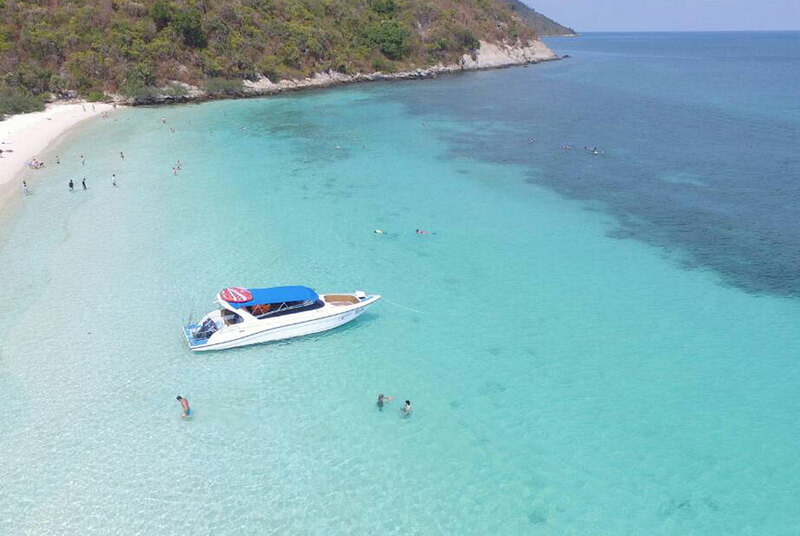 Or closer by you’ll find Koh Krok, a tiny landmass just 100m long with a beach that’s great for catching some rays or getting wet and wild on jet skis or a banana boat. great way to see a slice of authentic Pattaya life. Try the “Colors of Pattaya” tour. This half-day bike ride take you past some of the city’s best beaches, to the local fishing community where you can immerse yourself in the sight, smells and sounds of the market. This is followed by cycling along the canals of Chinatown to see Pattayans at work, on the way out to the countryside where you’ll whizz through the fields and farm, and even pay a visit to a Muay Tai boxing school. Buddha mountain is located less than a half hour’s drive from Pattaya, and is a spectacle unlike other images of the Buddha. Carved into the rockface of Khao Chi Chan and filled in with luminescent gold paint, it’s an understated yet dramatic symbol that seems perfectly at one with nature. It’s also a great spot to get an Instagram shot others are unlikely to have. On your way back, stop by the Silverlake winery, set in a tranquil, rural spot. You can tour the vineyards and sample some of Thailand’s emerging wines.